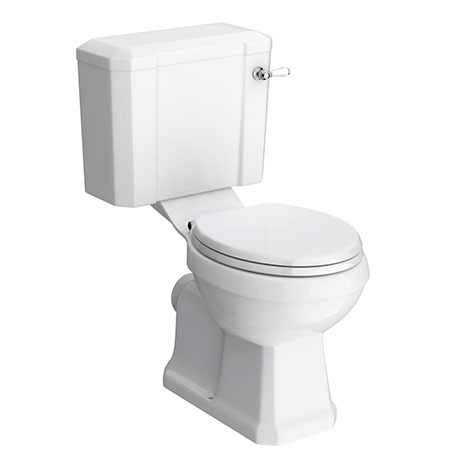 A high-quality traditional close coupled toilet with seat. The Chatsworth traditional toilet with it's classic styling has been designed to match the Chatsworth range of bathroom furniture. Features quick release hinges for easy cleaning. Manufactured using high-grade vitreous china ensuring a quality finish and long lasting durability.